While smart homes are associated with a wide array of zany gadgets, from smart lamps to connected toasters, Lenovo is sticking to the basics with its smart home debut. The company's new Smart Assistant is a speaker with Amazon's Alexa voice assistant for hands-free control of other smart devices—regardless of brand—around your home. Lenovo isn't the only one taking this approach—both Google Home and Amazon's own Echo are similar products—but the Smart Assistant offers a solid set of features at a compelling price. While all of these gadgets use multiple far-field microphones to hear your requests (even from a distance or when you're playing music), Smart Assistant has eight microphones with noise and echo cancellation which can pick up commands from across the room with a range of about 16 feet. That's one more microphone than the Amazon Echo—which already has an impressive range—and six more than Google Home. This means the Lenovo Smart Assistant can hear you no matter where you are in a room. That makes Smart Assistant the heart of a great smart home setup. Because it uses Alexa, it has over 6,000 skills and learns more all the time. Alexa can play music, check how long your commute will take, place Amazon orders, call an Uber or even order pizza. It's also compatible with many major smart home gadgets, including Wemo, Samsung SmartThings, Philips Hue, Nest and more—letting you turn off the lights or lock the front door. Just ask, and Alexa does the rest. 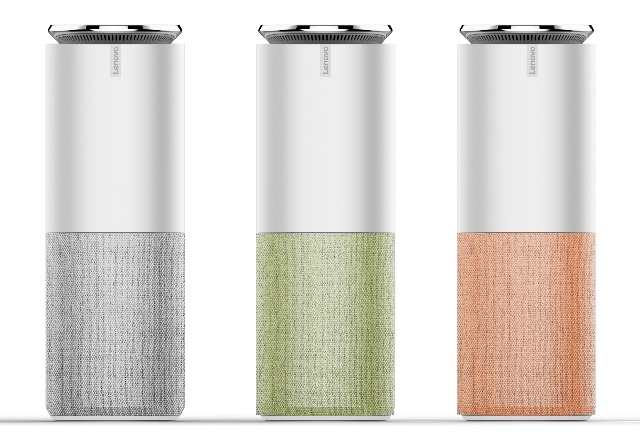 Smart Assistant comes in two models: the standard Smart Assistant starting at $129.99, and the Harmon Kardon Edition, which offers better sound quality, starting at $179.99. That prices it quite competitively with Google Home ($129) and Amazon Echo ($179.99). 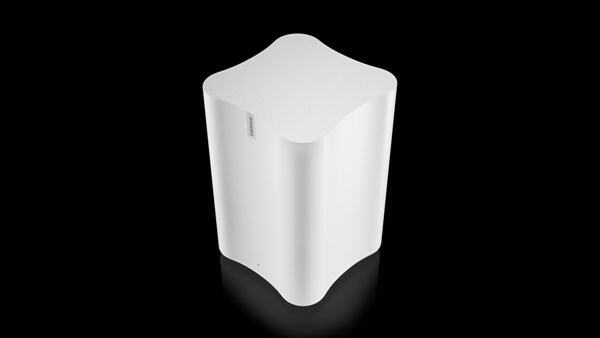 The standard model has a white body with gray, green or orange accents, while the Harmon Kardon model is a sleek black. All models will be available in May 2017. The next piece of Lenovo's smart home strategy is a device that solves some common tech frustrations. Smart Storage is a network attached storage device, but even if you aren't sure what that bit of technobabble means, chances are it's something you'd be glad to have around the house. It's a gadget that stores data, only instead of plugging it into your computer, it's wireless. No matter where you are in the house, you'll be able to connect to your Smart Storage to view photos, play movies or just back up your files so you never have to deal with lost data. While most of us are used to keeping files online, in the cloud, anything you store online could be vulnerable to hackers. Smart Storage will automatically back up your computers and mobile devices when you walk in the door (or you can do it manually), keeping your important data safe in case of a digital disaster. You can store anything you'd like, but Smart Storage is ideal for photos—which it will organize using facial recognition—and media like music and movies, which are easy to stream without taking up valuable drive space on your computer or tablet. And with storage up to 6 terabytes, you're not likely to run out of space any time soon. Smart Storage can hold 2 to 6 terabytes of data and starts at the budget-friendly price of $129.99. Like Smart Assistant, it ships this May.